Creating and sustaining a positive work environment is a core responsibility of HR. Through proactive initiatives, you can effectively guide managers and work with employees on workplace issues. 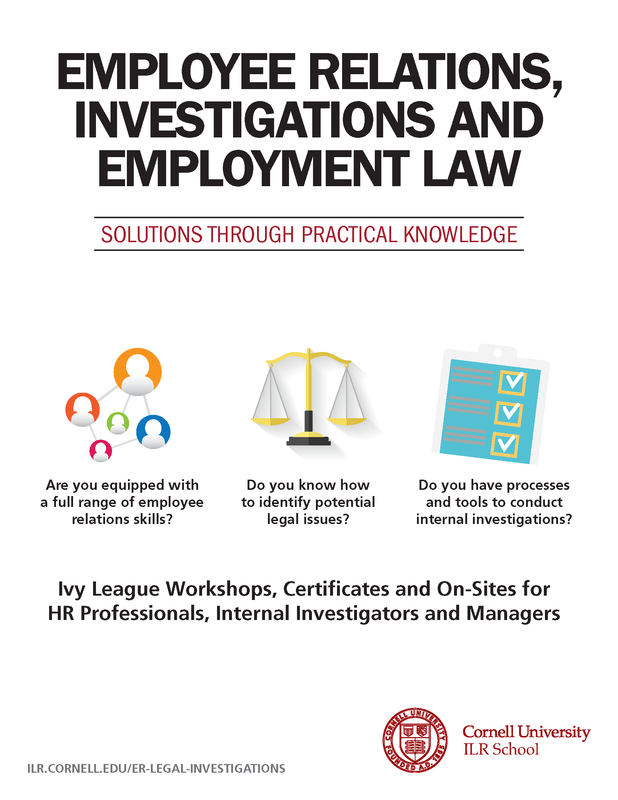 In our highly interactive Employee Relations, Internal Investigations and Employment Law workshops, you’ll gain the tools and skills to assess and address employment laws, conduct internal investigations, and work strategically to manage employee situations. Our Employment Law programs are also available to provide managers with experience on policies, potential legal issues and the importance of seeking advice. Employee Internal Investigations: Part I is a prerequisite for Advanced Employee Investigations: Part II. See examples of Employee Relations, Legal and Investigations On-Site programs that can be tailored to fit the needs of your organization.